“A man who came forward to report being abused by a teacher after listening to a radio show says his abuser was helped by a system that encouraged silence. 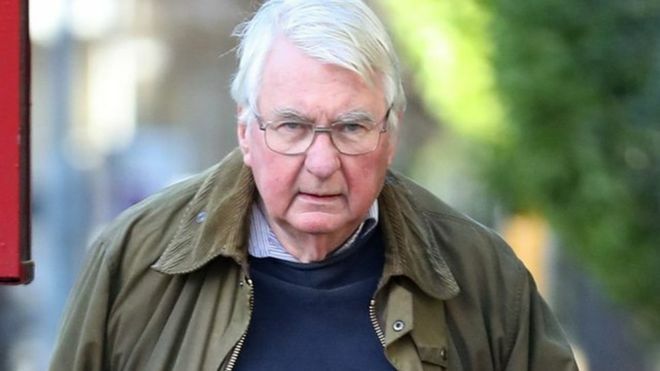 The victim, known as Arthur, was one of four pupils sexually abused by Peter Burr at Christ’s Hospital School in West Sussex between 1969 and 1973. Burr, 73, was jailed for three-and-a-half years last week. Arthur contacted police after hearing a feature on BBC Radio London about sexual abuse in football. Before then, he said, police did not take him seriously. Arthur waived his anonymity to speak out to appear on the Vanessa Feltz show on Friday, but decided not to reveal his surname. Arthur said he started at the boarding school in 1970 after his father died, and was put in the house Burr was the tutor of. “Within weeks of being sent to the school I remember being aware of him hanging around, brushing against you, looking at you, touching you if he got the chance,” Arthur said. Every activity, Arthur said, “became blighted”. “If he took us to the swimming pool it was an opportunity to grab you and feel you underwater,” he added. The abuse went on for three years until Arthur changed houses. But he said it had affected the rest of his life, making him withdrawn and finding it hard to trust people. Arthur said he did not tell anyone about it while at the school out of fear of bullying. When the father-of-two decided to report it in 2003 to police in Horsham, Sussex, he said he was not taken seriously. But he added he felt “no resentment because I don’t think there was a language in society” for the information he was relaying. Thirteen years later, while listening to the radio show discussing sexual abuse claims in football, Arthur said he realised “people were starting to listen” to male abuse victims. He took his case back to police in 2017 and this time it was taken further. Arthur also wrote to the school, which wrote back praising him for getting in touch, saying it now took safeguarding issues “very seriously”. Sussex Police said it found no record of Arthur’s report in 2003 but that it “fully investigated” his claims in 2017. The force also said it set up the Complex Abuse Unit to deal with historic abuse cases. “Sussex Police takes reports of historic sexual offences very seriously and will always seek to complete a thorough investigation,” a spokesperson said. 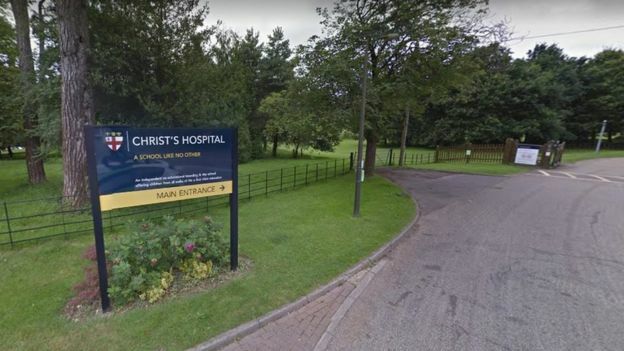 In a letter to former students, the school’s current headmaster Simon Reid said: “We remain committed to ensuring that the experience of every pupil at Christ’s Hospital School is positive and recognise that there is no room for complacency where safeguarding is concerned.